DPD has opened a 5,000 sq ft all-electric parcel depot in Westminster with the capacity to deliver 2,000 parcels a day. Investing over £500,000, the refurbished site includes an electric charging system to support its all-electric fleet. This is the first of a further seven sites which have been planned in London. 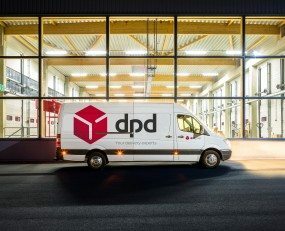 DPD is looking to save 45 tonnes of CO2 annually as it uses electric vehicles both for the inward delivery of parcels and the final delivery to customers. This is aligned with the objectives of Transport for London (TfL) who will be introducing an Ultra Low Emission Zone in central London from April 2019. DPD expects to invest in the region of £3m on the DPD Westminster depot over the next 10 years, while the site for its second all-electric London depot in Shoreditch has already been secured. Included in the site is the first DPD owned Pickup shop allowing consumers to collect parcels from the site. The new shop will add to DPD’s network of 2,500 Pickup sites across the UK, operated in partnership with brands such as Sainsbury’s, Matalan and Halfords.